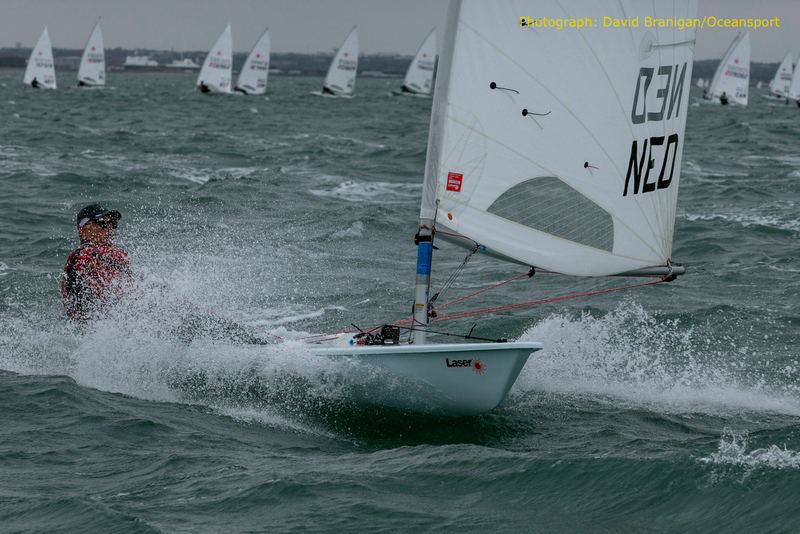 (Dún Laoghaire, Ireland) Adding two further race wins to his tally, Australia’s Brett Beyer continued to dominate the Standard Master class at the Laser Masters World Championships on Dublin Bay today. 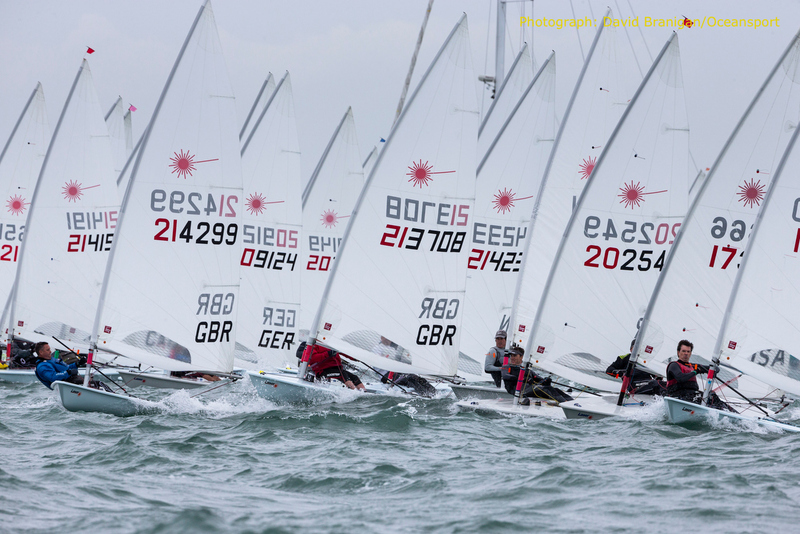 Despite a shifting breeze that gusted from 10 to over 20 knots at times, Beyer’s bid to defend his 2017 title showed no loss of his opening day form as he sailed in clear air ahead of his nearest challengers in the 60-boat class. Elsewhere in the 302-strong class, the Grand Masters proved that age is no barrier to sailing’s naughty-step with no fewer than 14 black flag disqualifications after the opening race of the day. There were five general recalls, which delayed racing more than an hour. The fleet is also grappling with the biggest spring tides of the year with a strong ebb flow adding to the challenge of the fresh to strong winds. Despite receiving one of the black flag disqualifications, Sweden’s Tomas Nordqvist remains atop the Grand Master class, after the weighty penalty was dropped when the discard came into play. Amongst the Great Grand Masters, two wins for Germany’s Wolfgang Gerz keeps him ahead of Australia’s Mark Bathwaite by two points. And two wins for Canada’s Gord Welsh sees him ahead on a tie-break with Spain’s Leandro Rosado for the Laser Standard Apprentice class. Australia’s Scott Leith added two further wins in the Radial Master class while in the Grand Masters, Britain’s Stephen Cockerill leads this 57-strong division by five points after a mixed day afloat. Marking his debut year in the Grand Masters division, Cockerill went on to score his third win of the series in the second race of the day and remains ahead of Australia’s James Mitchell. After two days of 20-knot westerly winds, Tuesday’s forecast offers the prospect of another testing day ahead of Wednesday’s welcome break in the schedule. Ironically, the conditions are expected to ease off for the day before, building steadily towards a gale by Saturday evening.